Mål C-145/04: Konungariket Spanien mot Förenade konungariket Storbritannien och Nordirland. Domstolens dom (stora avdelningen) den 12 september 2006. Case 326/82: Helga Aschermann and others v Commission of the European Communities. Judgment of the Court (First Chamber) of 30 May 1984. Mål C-121/01 P: Eoghan O'Hannrachain mot Europaparlamentet. 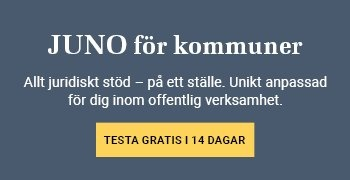 Domstolens dom (andra avdelningen) den 5 juni 2003. Mål C-82/98 P: Max Kögler mot Europeiska gemenskapernas domstol. 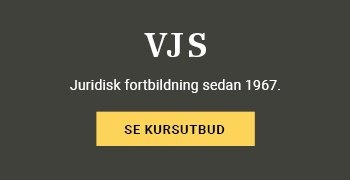 Domstolens dom (fjärde avdelningen) den 25 maj 2000. Case 33-67: Dietrich Kurrer v Council of the European Communities. Judgment of the Court (Second Chamber) of 28 March 1968. Case 26-67: Henri Danvin v Commission of the European Communities. Judgment of the Court (Second Chamber) of 11 July 1968. Case 16-67: Henri Labeyrie v Commission of the European Communities. Judgment of the Court (First Chamber) of 11 July 1968. Case 35-67: August Josef Van Eick v Commission of the European Communities. Judgment of the Court (First Chamber) of 11 July 1968. Case 3-68: Fernand De Schacht v Council of the European Communities. Judgment of the Court (Second Chamber) of 11 July 1968. Case C-145/90 P: Mario Costacurta v Commission of the European Communities. Judgment of the Court of 21 November 1991. Mål C-362/05 P: Jacques Wunenburger mot Europeiska kommissionen. Domstolens dom (fjärde avdelningen) den 7 juni 2007. Mål C-424/05 P: Europeiska kommissionen mot Sonja Hosman-Chevalier. Domstolens dom (tredje avdelningen) den 21 juni 2007. Mål C-417/05 P: Europeiska kommissionen mot Maria Dolores Fernández Gómez. Domstolens dom (andra avdelningen) den 14 september 2006. 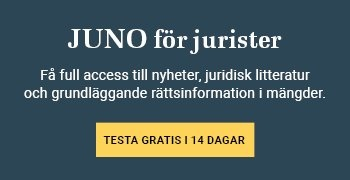 Mål C-310/04: Konungariket Spanien mot Europeiska unionens råd. Domstolens dom (andra avdelningen) den 7 september 2006. Mål C-397/02: Clinique La Ramée ASBL och Winterthur Europe Assurance SA mot Jean-Pierre Riehl och Europeiska unionens råd. Domstolens dom (första avdelningen) den 9 september 2004. Mål C-301/02 P: Carmine Salvatore Tralli mot Europeiska centralbanken. Domstolens dom (första avdelningen) den 26 maj 2005. Case C-70/91 P: Council of the European Communities v Anita Brems. Judgment of the Court of 7 May 1992. Case 246/84: Vassilios Kotsonis v Council of the European Communities. Judgment of the Court (Third Chamber) of 18 December 1986. Case 152/85: Rudolf Misset v Council of the European Communities. Judgment of the Court of 15 January 1987. Case 76/84: Alessandro Rienzi v Commission of the European Communities. Judgment of the Court (First Chamber) of 21 January 1987. Case 121-76: Alessandro Moli v Commission of the European Communities. Judgment of the Court (First Chamber) of 27 October 1977. Joined cases 341/85, 251, 258, 259, 262 and 266/86, 222 and 232/87: Erik van der Stijl and Geoffrey Cullington v Commission of the European Communities. Judgment of the Court (Second Chamber) of 28 February 1989. Case 346/87: Giancarlo Bossi v Commission of the European Communities. Judgment of the Court (Second Chamber) of 14 February 1989. Case 133/88: Casto Del Amo Martinez v European Parliament. Judgment of the Court (First Chamber) of 14 March 1989. Case 126/87: Sergio Del Plato v Commission of the European Communities. Judgment of the Court (Third Chamber) of 10 March 1989.